what is ghosh lineage beginning yoga? Ghosh Lineage Beginning Yoga is a style of yoga initiated by Bikram Choudhury in the 1970's. It has gained much popularity in North America and around the world. This method features a series of 26 poses and 2 breathing exercises. It is practiced for 90 minutes or 60 minutes in a room that is heated between 38 and 40 degrees celsius and relative humidity 50% or more. The heat allows your body to warm up faster and stretch deeper. It also increases metabolism and promotes circulation, cleansing your body and accelerating detoxification so that after 90 minutes, you feel like a brand new healthier you. Ghosh Lineage Beginning Yoga is suitable for beginners. It is suitable for all ages, body types and physical conditions. Yoga is a gift for everyone! Click here for the 26 postures of Ghosh Lineage yoga. In addition to stretching, yoga forces you to compress your glands and internal organs to produce what is called the "tourniquet" effect. During a compression, your organ or gland is twisted and squeezed until it is deprived of blood and oxygen. Upon release, you send a torrent of fresh blood to your organs and glands, blood that is well-oxygenated through the deep breathing you practice. This squeeze-and-release revitalizes your organs and glands so that they regain health and functionality to effectively regulate your hormonal balance and eliminate harmful waste products. 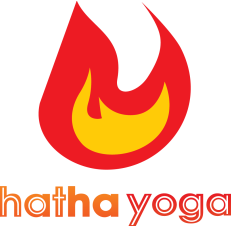 Click here for more benefits of hot yoga!